Hello spring! Thank you to everyone who attended our annual SX roster party and donated to our fundraiser for the Community Kitchen at Caritas of Austin. We hit an all time high of $6120.94. Every year we beat our last numbers, I feel both gratitude and then pressure for the next year. Thank you all, we could never do it without you. This month’s Friday Kitchen Concert volunteer is SaulPaul! We met SaulPaul the last two years at FAI where he’s played our showcase room. He has a special way of opening hearts and we can wait to host him at Caritas later this month. March means SXSF, South By Soup Fest!! We will be back at Gueros Taco Bar on Wednesday, March 13th, 1-8pm, raising money for Caritas of Austin for the 14th year in a row! Please come and spend the day with us… rain or shine! And please consider an online donation as well: www.southbysoupfest.org Your support means SO MUCH to us year after year. We will also be hosting 2 days of music for the diners at the Community Kitchen at Caritas. This year we have musical guests from Ireland, New Zealand, Canada, Australia, Israel and the USA! February means FOLK. Matt The Electrician, Nels Andrews and I will be attending the Folk Alliance International conference in Montreal mid month. We hope to see many of you there. Steel Standing is this month’s Kitchen Concert volunteer. It’s been awhile since we’ve had a full band for the monthly concert, we can’t wait. Thanks to all four of you for volunteering. May your new year be full of love, friends, family and music! Our FAI private showcase room is still booked up – thanks for your interest. We hope to see many of you in Montreal next month. Matt The Electrician and I will be hosting a Folk Alliance International info session, meet and greet in Austin on January 29th. We would love to see new faces and familiar faces in the music industry. If you would like to RSVP, please email me and I will make sure you receive the invitation. You can also view it here. Curtis McMurtry is this month’s musical volunteer for the Kitchen Concert at Caritas of Austin. Thank you Curtis for being interested and available! Our January newsletter can be found here. And you can subscribe there as well. Our private showcase room for the 2019 Folk Alliance International is booked. Thank you for your interest. Christy Hays is this month’s Kitchen Concert volunteer at Caritas of Austin. We first heard her at one of Bonnie Whitmore’s Continental Gallery shows. See you soon Christy! If you’re in the USA – VOTE on November 6th! For those interested in playing our private showcase room at FAI 2019 in Montreal, you are welcome to reach out, but we just about booked at this time. Thank you for understanding! Matt and Laura had fun attending SWRFA last month. You can read about this and more in our October newsletter. This month’s Friday Kitchen Concert volunteer is Alice Evans. We are looking forward to meeting her and hearing her songs, thanks to Alyse Black for the recommendation! Also, big thanks to Matt McCormack for volunteering last month. He filled in last minute when the scheduled artist cancelled – Matt, you were terrific! It looks like August news got overlooked – whoops! I blame my recent knee surgery. Rehab been more consuming than I thought… I knew it would be hard, but this is a new kind of hard, so thank you all for your patience in case I’ve been slow to respond to any kind of communication from you. We’ve had some great music at Caritas – July was Michael Zapruder, August was Little Brave. Thank you both for volunteering! September, we have Henri Herbert from London scheduled – thanks to Henri as well. Three artists from the roster will be on the Texas Commission on the Arts Texas Touring Roster 2018-2020 – please join us in congratulating BettySoo, Matt The Electrician and Curtis McMurtry on this honor. Posting late this month… we were happy to host Emily Shirley as this month’s Friday Kitchen Concert volunteer – she was terrific! The link to our June newsletter can be found here. We are not adding to our roster at this time. Thank you for supporting the artists we do have on the roster. Our May newsletter with shows for the month and other news can be found here. We met this month’s Kitchen Concert volunteer through our friend Paul with Microsessions. Michael Garfield is signed up to volunteer… we look forward to meeting you Michael! Please subscribe to our once a month newsletter if you don’t already receive it. Check out the April newsletter here and read about how we raised $5908.04 for Caritas of Austin last month at SXSF! We are back to our monthly Friday Kitchen Concerts at Caritas, and this month we are happy to host Chris Beall. Thanks for volunteering Chris! March means SOUP! Please come to South By Soup Fest @ Gueros Taco Bar on March 14th – hear great music, have great tacos & drinks and help us raise $ for the soup kitchen at Caritas of Austin! February means FOLK! Laura, Matt The Electrician, Nels Andrews & David Berkeley will be representing the roster at this year’s Folk Alliance International Conference. We are really looking forward to connecting with old friends and making new friends, too. If you are attending, please come by our private showcase room, Rm.652. We would love to see you and give you a hug. Giulia Millanta is this month’s Friday Kitchen Concert volunteer at Caritas. We can’t wait to her her songs! This month’s show & news can be found on our February newsletter. Please subscribe as well if you don’t receive it already. Hello 2018! Here’s to a wonderful new year full of music, art, community and being surrounded by people we love. This month’s Friday Kitchen Concert volunteer is our own booking agent Anna Larson. Thank you Anna for volunteer, and big thanks to Jimmy Joe Natoli for hosting while Laura is working remotely from Australia. If you’re a current FAI member, you have until December 8 to vote in the Board of Directors election. Thank you for considering a vote for me (Laura Thomas). The past three years, Laura & the roster have compiled a Holiday Gift Guide where we suggest making a donation to one of our favorite charities. You can see the list here. Terry Klein will be playing the Friday Kitchen Concert at Caritas which will actually be on a Thursday this month. See you soon Terry! Laura is running for the Board of Directors at Folk Alliance International. Voting begins on November 8th and you must be a current member to vote. Thank you for your consideration! This month’s Friday Kitchen Concert volunteer is Bruce Smith. Thanks for volunteering Bruce! We are happy to announce that Anna Larson has joined our team as an additional booking agent. Welcome Anna! We are SO happy to have you on board. This month’s volunteer for the Friday Kitchen Concert at Caritas of Austin is Christina Cavazos. We are very excited to meet her and hear her songs. Our hearts go out to everyone affected by the the tropical storm and hurricane Harvey. Please consider doing whatever you can in your community to reach out to recovery efforts. The Houston Chronicle has this list on where you can help. This month’s Friday Kitchen Concert volunteer is Chris Strand. Chris reached out to us, and we are looking forward to meeting him and hearing his songs! Our August monthly newsletter can be found online here. Johnny Goudie will be this month’s Friday Kitchen Concert volunteer. We are super excited to host him. Roster shows for the month, good vibrations and other news can be read on July newsletter. We will be hosting the Jon Klekman Trio for this month’s Friday Kitchen Concert at the Caritas community kitchen. Excited as this will be the first jazz band we’ve hosted. Check out our June newsletter and learn about Matt The Electrician’s new releases and Curtis McMurtry’s recent appearance on Music City Roots. Roster shows for the month can be found there as well. This month’s Friday Kitchen Concert volunteer is Beth//James. We are excited to meet them and hear their songs. Our monthly newsletter with roster show listings can be found here, feel free to subscribe as well – we would love to have more people receiving our newsletter. This month’s Friday Kitchen Concert volunteer is our friend Daniel Thomas Phipps. Thanks for being awesome Daniel. The River Has Many Voices/Ash St.
With your help, we raised $5229.78 for the Food Services programs at Caritas Of Austin!! Thank you, thank you, THANK YOU!! This month’s Friday Kitchen Concert volunteer is Alex Winters. We met her at FAI this year and can’t wait to see her again. March means SOUP and SXSF and South By Soup Fest!!! We will host our annual Roster Party & South By Soup Fest benefit for Caritas of Austin on Wednesday, March 15th. And we would love, LOVE, LOVE to see you all there! The roster party raises money for the Caritas of Austin Food Services programs, specifically the Caritas Community Kitchen and Food Pantry. The event is hosted and promoted by ComboPlate Booking. Free and open to the public, live music will be provided by the artists on the ComboPlate Booking roster – and a few of our friends. Money will be raised by raffling off CDs from the artists and all band tips will go the Food Services programs. Gift certificates from local restaurants, coffeehouses and businesses will also be raffled with all proceeds also going to Caritas. Austinites who would like to help fight hunger in Austin – and hear some great live music while they are doing it – are encouraged to come to Gueros on March 15th. Again this year, we have included the option to donate on our online fundraising page: www.southbysoupfest.org. Not open to the public, but worth noting, ComboPlate Booking will also present a two day musical showcase, South By Soup Fest, exclusively for the clients of the Caritas Community Kitchen. HUGE THANKS to all of the awesome local businesses donating to this year’s raffle: Opal Divine’s, Soup Peddler, Pacha, Bouldin Creek Cafe, Jo’s Coffee, Contigo, Chicon, La Condesa, Once Over Coffee, P.Terry’s, Phil’s Ice House, Holland Photo Imaging, Johnson’s Backyard Garden, Gourdough’s, San Jose Hotel and of course Guero’s! We could never have our benefit without you – thank you all so much!! Better late than never posting for February – Laura & 5 artists from the roster attended the Folk Alliance International conference in Kansas City, MO. Matt, Beaver, BettySoo, Raina & David all made us proud and played their hearts out. As always, it was so good to see so many people from this extended folk family of ours. Schedules of what we did can be found on the ComboPlate FB page, and we will post photos soon. This month’s Friday Kitchen Concert volunteer was Fairbanks & The Lonesome Light – we enjoyed meeting them and hearing their songs! Happy new year and sincere apologies on posting this late in the month. Let’s all keep going to shows in this new year and give performing musicians as much love as possible. This month’s Friday Kitchen Concert volunteer was DC Bloom. Thank you DC for filling in last minute. You were terrific! Happy holidays and here’s to 2016! We have almost made it. Check our the roster’s shows this month on our December newsletter. This month’s Friday Kitchen Concert volunteer is Kelley McRae. She’s back from Europe and we are happy she has the time to volunteer this month. Thanks Kelley! Our sweet feline assistant Satchmo died the end of October. Who will count the SXSF fundraising money next year? We miss him. Lots of touring this month – find all of the dates on our November newsletter. This month’s Friday Kitchen Concert volunteer is Havilah. We look forward to meeting her and hearing her songs! Please check out our October newsletter where you can find show listings for the roster. And be sure to subscribe if you don’t receive it already. This month’s Friday Kitchen Concert volunteer at Caritas is Michael Romero. We are looking forward to meeting you Michael and thanks for taking time to volunteer! We are not adding to our roster at this time as Laura works alone and tries her best to find balance between work and personal life. Thank you for supporting the artists we do have on the roster! September shows for the roster and more news can be found here on our monthly newsletter. Be sure to subscribe if you don’t receive it already. This month Beaver Nelson tours his new CD and Matt The Electrician releases & tours his 4th 7″ 45rpm vinyl release. Read all about it on the link above. This month’s Friday Kitchen Concert volunteer at Caritas is Jackie Myers. We are looking forward to meeting her for the first time. 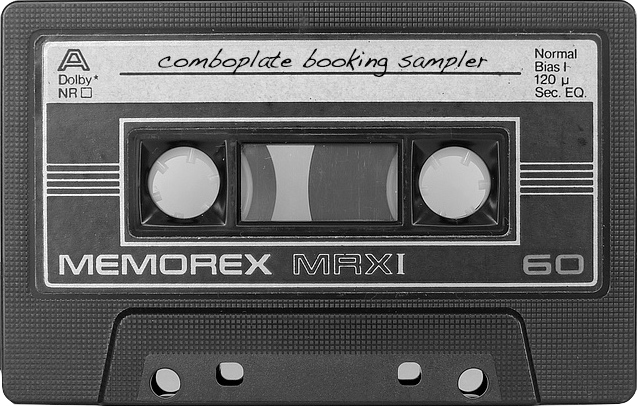 Happy 17th anniversary to ComboPlate Booking. Who ever thought we would be here this long? We are giving away some old sampler CDs if anyone is interested. You can read about it on our recent newsletter, be sure to subscribe too if you don’t already receive it. The incomparable Anthony da Costa is this month’s Friday Kitchen Concert volunteer at Caritas. We first met Anthony when he was maybe 15 years old at Folk Alliance. He just keeps getting better and better. Thank you Anthony for taking time out of your busy schedule to come volunteer! Don’t forget to connect with us on the world wide web. We are on Twitter and Facebook and post regularly on both. Then there’s Instagram, there mainly we just post when we are at shows or out & about. And our newsletter…. we are always hoping to connect with folks there, we just send it once a month and it has a comprehensive list of where our roster is playing each month. We would love if you might consider signing up to receive it. Just enter your email address in the box to your left and thank you! We are excited that Bonnie Whitmore will be this month’s musical volunteer at Caritas. Thanks for playing our Friday Kitchen Concert! This month’s email newsletter can be found here. And don’t forget, you can always subscribe on the link to the left, thanks! Corey Baum will be the Friday Kitchen Concert volunteer at Caritas this month. Thanks Corey! This month’s Friday Kitchen Concert volunteer is Carson McHone. We are looking forward to meeting her and hearing her songs. Thanks so much to everyone who came to our annual ComboPlate Booking Roster Party & South By Soup Fest Benefit for Caritas of Austin. With our event & online fundraising together we raised $4502.17 for the food services programs at Caritas of Austin. Thanks to all of the wonderful musicians who volunteered their time, to all of the terrific local businesses who donated to the raffle, and to Guero’s Taco Bar for hosting our event once again. We could never have this event without everyone’s generosity. We are back to our monthly Kitchen Concerts at the Community Kitchen at Caritas this month. We are happy to have our friend Mandy Rowden volunteering, thanks Mandy! The roster party raises money for the Caritas of Austin Food Services programs, specifically the Caritas Community Kitchen and Food Pantry. The event is hosted and promoted by ComboPlate Booking. Free and open to the public, live music will be provided by the artists on the ComboPlate Booking roster – and a few of our friends. Money will be raised by raffling off CDs from the artists and all band tips will go the Food Services programs. Gift certificates from local restaurants, coffeehouses and businesses will also be raffled with all proceeds also going to Caritas. Austinites who would like to help fight hunger in Austin – and hear some great live music while they are doing it – are encouraged to come to Gueros on March 16th. Again this year, we have included the option to donate on our online fundraising page: www.southbysoupfest.org. Not open to the public, but worth noting, ComboPlate Booking will also present a one day musical showcase this week, South By Soup Fest, exclusively for the clients of the Caritas Community Kitchen. HUGE THANKS to all of the awesome local businesses donating to this year’s raffle: Opal Divine’s, Soup Peddler, Pacha, Bouldin Creek Cafe, Jo’s Coffee, Contigo, 24 Diner, Easy Tiger, Snack Bar, Strange Brew, Lucky Robot and of course Guero’s! We could never have our benefit without you – thank you all so much!! February means FOLK! This year we are proud to have NINE artists from the roster attending & showcasing this month at the Folk Alliance International Conference in Kansas City, MO, February 17-21. Here’s who we have attending: Michael Fracasso, Matt The Electrician, Beaver Nelson, Nels Andrews, Curtis McMurtry, BettySoo, Raina Rose, David Berkeley, Anna Tivel – and Laura and even John. We are also proud to be hosting a private showcase room for the 10th year. Please stop by Rm.652 and see our artists & our artist friends showcasing each night, our schedule can be viewed here. Thanks to this month’s Friday Kitchen Concert volunteer at the Community Kitchen at Caritas is Jonray. Thank you for reaching out, and we look forward to hearing your music! Please like us on Facebook, we need more friends. And don’t forget you can sign up for our once a month newsletter by looking over to the left and subscribing. More than FB friends, we need more people receiving our awesome newsletter. Early this month, Laura will be spending time doing festival research in Tasmania by attending 3 festivals: The Falls Festival, Cygnet Folk Festival, MOFO. Watch twitter and instagram for reports. Anna Tivel has joined the ComboPlate Family! Gary Graves has a CD release show this month! This and more news can be found on our January newsletter. Graham Wilkinson is this month’s Friday Kitchen Concert volunteer – we have so many mutual friends but have yet to see Graham live. We are looking forward to it.